Ukraine is a country in Eastern Europe. Ukraine borders Russia to the east and northeast, Belarus to the northwest, Poland, Slovakia and Hungary to the west, Romania and Moldova to the southwest, and the Black Sea and the Sea of Azov to the south and southeast, respectively. The territory of Ukraine has been inhabited for at least 44,000 years, with the country being a candidate site for the domestication of the horse and for the origins of the Indo-European language family. Ukraine is a beautiful country and one of the largest in the territory, with a very developed culture, rich folk traditions, and diverse nature. Ukraine is a state in Eastern Europe, bordering Poland, Slovakia, Hungary, Romania, Moldova, Russia and Belarus. Its population is about 45 million people. 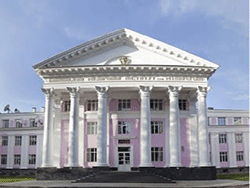 Every year, the number of students seeking admission to UKRAINE. • Globally Recognized Courses (WHO, UNESCO, EUROPEAN COUNCIL, etc.). • English Medium of Instruction. • Moderate Climate around the year. • Enrichment of Experience through Visiting Professors from USA, Canada, UK, etc. • Bilateral Student Exchange Program with Universities in Germany, Sweden, Finland, Check Republic, etc. • Three Months Summer Jobs during a vacation in countries like U.K., SWEDEN, etc. • Chances of Permanent Residence & Settlement in Europe after completion of the study program. 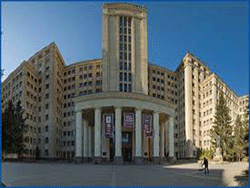 • Admissions in University recognized by MCI, WHO, and the UK. • Perfect assistance in preparing for traveling and staying. 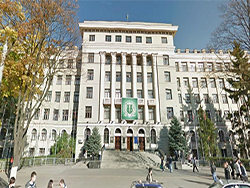 • Medical Universities in Ukraine are recognized as TOP in the world and offer an opportunity to students to complete their Ph.D. degree at less than 50% of the cost incurred in Universities of India, UK, USA, New Zealand and other countries.